Star YouTube trick shot group Dude Perfect is setting off on its first-ever live tour this summer. In an announcement-laden video uploaded this week, Dude Perfect (that is, Tyler Toney, Cody Jones, Garrett Hilbert, and twins Coby and Cory Cotton) revealed that it will tour 20 cities, with each stop involving a 90-minute live trick shot show and a chance for fans to meet the dudes. Exactly where Dude Perfect will stop hasn’t yet been set in stone, and their announcement included an invitation for fans to let them know which cities they should visit by commenting on the video. The group also didn’t mention when the tour would begin or when tickets would go on sale, but they did note that some of their YouTube followers will get early access to tickets — which is where one of the video’s other announcements comes in. Dude Perfect is now offering paid Channel Memberships, where viewers can get extra content by paying $4.99 per month. Folks who sign up for a Dude Perfect Channel Membership will get the aforementioned early access to tour tickets, as well as one exclusive new video per week, members-only live chats with the group, loyalty badges and custom emojis, and discount codes for Dude Perfect merch. The dudes also announced that the third season of their Nickelodeon program, The Dude Perfect Show, is 15 episodes long, and will premiere Feb. 8. Dude Perfect promised fans that if its subscriber count gets high enough to #TieThePie, it will do something they’ve been asking for since the group joined YouTube 10 years ago: reveal the true identity of the person inside its panda mascot suit. 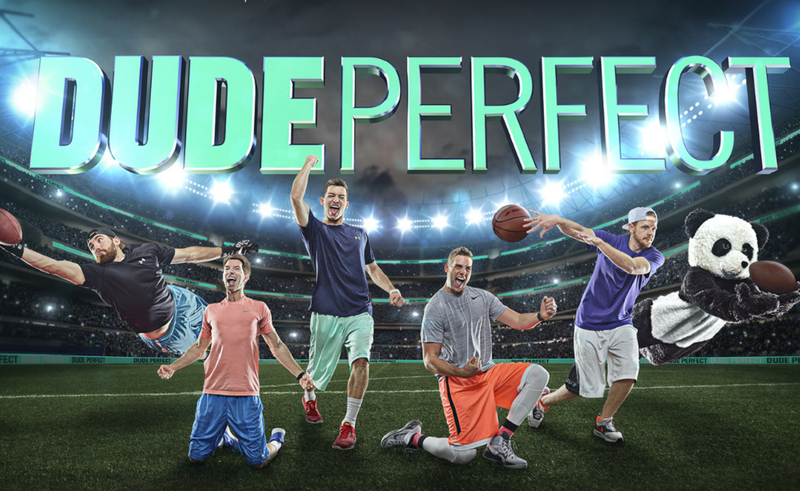 You can catch Dude Perfect’s announcement video below.